If you ever need a quick solution for a presentation “on the go”, 3M might have a solution for you. These little projectors have been out for a while, but like everything else they just keep getting better. 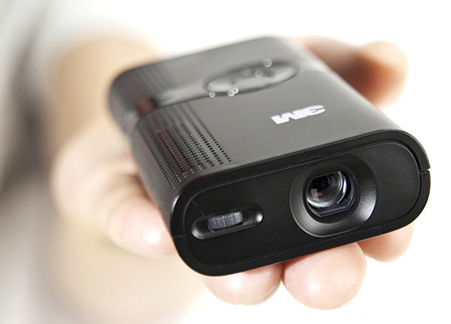 The older 3M pocket projector was the 120, but the newest 10 has many more improvements. I have a friend who was working on a feature where they used on of these little projectors to project a subtle image on a wall. She said it looked great, and was so handy. Click here for the specs. Check out this video for a review.